* Total number of reviews and star-ratings are based on data collected during the time period Scottsdale Air Heating & Cooling has been using the ReviewBuzz system and may not directly match the data found on each public review site. Great service and friendly. Helpful. Thank you. Scott did bi-annual maintenance on my AC unit. Customer of Scottsdale Air for over 10 years. Always very happy with each technician I meet. Scott was knowledgeable, called in advance, clearly explained and answered all my questions, fixed minor filter cover as requested,rendered advice as requested re: new AC unit in future. I always learn something new to better maintain my unit. He advised on normal sounds of unit when turning on/transitioning from one stage to the next. Advised what sounds are Not normal. Affable, efficient, on task. Fellow service member we were able to discourse on our service branch experiences. Again Very Happy with Scottsdale Air and their quality technicians. Always arrive on time and call in advance. Highly recommend to New Customers. Jonathan and Dan were here to finish up a job where they replaced my AC unit and blower unit! They all did a great job. Very professional and eager to be sure that everything was done right and to my satisfaction. I would recommend them to anyone! Several people in our neighborhood have often referred Scottsdale Air as the best service provider in our area. Wow - were they spot on. I called on a Saturday and after speaking with the Answering Service, Eric D called me back in less that 15 minutes and was on my doorstep in less than an hour. Please note, we leave 30 minutes from town and he still responded that quickly. He was very professional and took care of the problem immediately and had us up and back with full A/C in less than two hours from the original call. 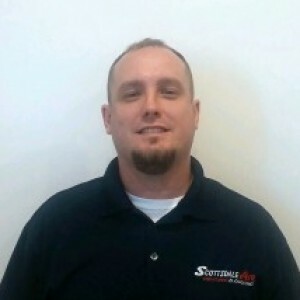 Your team is the best and I will be using Scottsdale Air for my future operation and maintenance services. I am with one of the largest Construction Firms in the U.S. and I understand the industry; with confidence I can say your organization is top notch / best in class. Thank you, thank you, thank you. Working with Scottsdale Air has been a pleasure. Scott is great to deal with, the A/C works great, and the young lady that answers the phone is a delight. Chose Scottsdale Air after doing due diligence. Have no regrets! They are always polite and professional. Worked with me on financing. Always show up when they say they will. They are continuing to work with me on tweaking one small matter. Very glad to recommend Scottsdale Air. He Is very good, he know what he is doying, very friendly and he is very clean when he leaves. Jerry was awesome! He took the necessary Time to really look for the true root cause analysis of our air conditioning problem rather than just defaulting to some type of Band-Aid approach so he could move on to the next customer. He was personable, professional, patient, and really did a significant amount of detective work. We have used Scottsdale Air many times in the past with various degrees of satisfaction but having the opportunity to work with Jerry on this particular problem was incredibly refreshing and a restoration of confidence to continue to use Scottsdale Air in the future. THANK YOU JERRY!!!!!! We have a VERY old unit. John acknowledged that it was old but that it was working fine. I appreciate that he didn't automatically recommend a new unit! Moved recently from Tucson to Chandler, AZ. Needed an old AC unit to be replaced ahead of the summer season. Scottsdale Air Heating and Cooling was recommended to me by the AC company that upgraded my system in Tucson. They were right on target!!!! The experience with Scottsdale Air Heating and Cooling was top notch from provision of a thorough estimate that included multiple options on available systems, the scheduling of the job, professional installation of my new system, clean up, and then explanation of the inner workings of the new Wi-Fi enabled controller. Many thanks to Russ in sales and to Mickey and Jaime, the installation crew. Couldn’t be happier!!! Scott is a great tech. and his Team is outstanding. 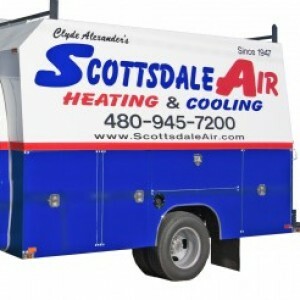 Scottsdale Air is the best there is in A/C & Heating! 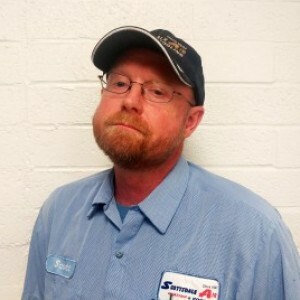 Scottsdale Air always provides great service and will have a technician on site frequently the same day as you call or within a day, or two at most, in the busiest of times. Scotts seems very honest and trustworthy and minimizes my involvement in the process which is appreciated. 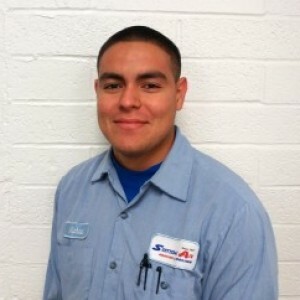 I HAVE USED SCOTTSDALE AIR TO REPLACE AND SERVICE MY AIR CONDITIONING UNITS FOR 10 YEARS. THEIR OFFICE STAFF IS VERY FRIENDLY AND EFFICIENT. THE TECHNICIANS THAT HAVE SERVICED MY UNITS ARE TOP NOTCH. THE OWNER IS VERY PERSONABLE AND MAKES CUSTOMER SATISFACTION A TOP PRIORITY. I WILL CONTINUE TO USE SCOTTSDALE AIR HEATING AND COOLING FOR AS LONG AS I OWN A HOME IN SUNNY ARIZONA. Scott Baker has done an exemplary job in ensuring that our air/heat unit was working at it’s top notch operating condition. He’s a great asset to your organization. 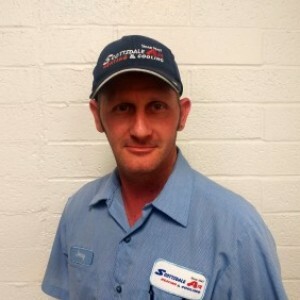 Customer service is always a top priority at Scottsdale Air Heating & Cooling. Our BBB Membership A+ rating is like a badge of honor as we continuously strive to provide the best experience for our clients.